Finding a good bar in Doha is not easy, being Qatar a drink-free country, still – god bless them – some of the high-end hotel of the crazy capital of Quatar can get you a drink. 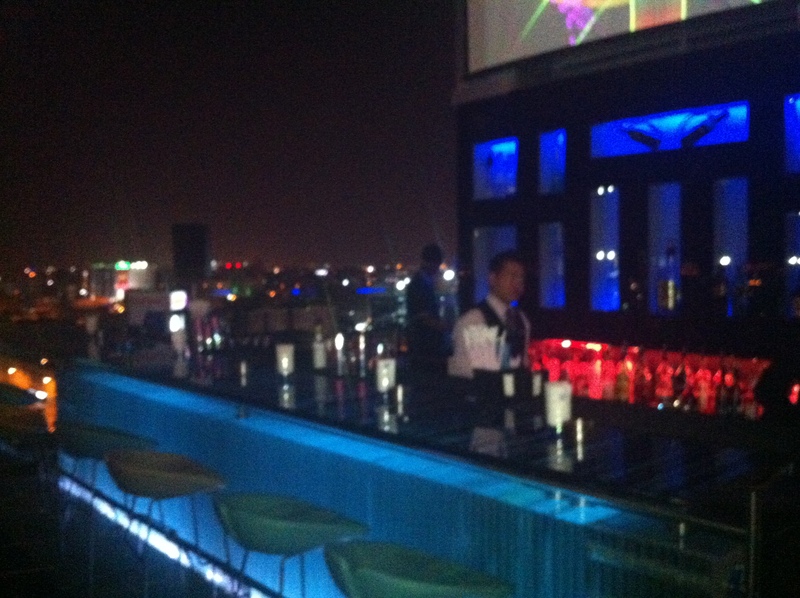 A serious survey among all expats I could talk to (bars which serve alcohol are not allowing Qatari citizens in…) confirmed that the Sky View Bar al the hotel “La Cigale” is the place I was looking for. Once you have been able to get in, having shown your passport (remember: no passport no bar, they are very serious about this), you are rewarded by a stunning view on the city with its skyline and lights, and you can indulge at the bar or have a seat among a crew of noisy and funny expats, who later in the night will stat dancing and yelling. Quality of drinks is average, staff is polite and funny, socialisation is rather easy. Only negative note: the volume of the music, not bad in itself, is way too high. And you know, sipping a martini looking at one of the contemporary architectural wonders is much better without Madonnas shouting like a virgin touched for the very first time… In any case, if you happen to be in Doha, don’t miss a visit. Classic martini rate: 6,5.